Case Study: What Is Real Estate Wholetailing? There are many ways to make money in real estate. If you are a regular follower of the blog you know I specialize in major structural rehabs referred to as “Real Estate Merchandising or, Retailing”. Real Estate Wholetailing refers to an investing avenue that is a hybrid between traditional Wholesaling and Retailing. When Wholesaling Real Estate typically the investor ties up a house under contract after finding a great deal and then scrambles around trying to sell his option, rights, or contract to another party who actually has the funds to close on the deal. Many wholesalers don’t actually have funds to buy the properties but simply act as bird dogs searching out the deals. Good deals always find money. Wholesaling real estate is also referred to as flipping contracts because you rarely ever take physical possession of the property. It’s challenging because since you don’t actually own the property you have a short window of time to line up a buyer who also must have cash to close the deal. Flipping REO’s is common as well and investors find these deals in MLS. Here in Texas the purchase contract actually allows for a option period for up to 2 weeks with as little as $100.00 down. If you write “or assignee” after your name as the buyer you can assign your rights to your third party buyer at the title company. This makes it very easy for wholesalers to tie up deals and then shop them around. In other states like California you would use typical contingencies to let yourself out of the contract and your earnest money would be on the line. Wholesalers typically use bandit signs, buyers lists, Craigslist and other grass roots methods to market their property quickly and try to line up a buyer at a slightly higher price in order to make a profit. A typical wholesaling fee would be around $3-5k but this isn’t much for passing off your deal unless you are wholesaling 5-10 properties a month. In order to find a buyer fast without the exposure of MLS you must have a great deal and pass on the equity to the next investor with a sales price around 55% ARV. This would get you to the 60-70% ARV less repairs that most investors look for. If this is all new to you and sounds great, be careful because if you go around your town tying up a bunch of houses and dont close on them, you’ll quickly get a bad name and the REO agents wont accept your offers anymore. Wholetailing Real Estate refers to the practice of finding this same deal but closing on it instead of selling your contract rights to another investor. When Wholetailing we like to close on the house quick vs. Wholesaling where we want as much time as possible to find another buyer. You must have the funds to actually buy the house in this case but as the actual owner you are able to put the property in MLS and have way better exposure to potential buyers and increase your net profit. Not all houses make good wholetailing prospects. I look for clean, solid houses in good areas that someone could actually occupy themselves right away. Fixer uppers sell fast in MLS if they are priced right, usually even faster than retail homes. A wholetail house would be something clean enough to live in but priced way below the comps that maybe needs a little TLC. Sometimes its nice not to always butter the houses up with all the latest faux perganteel finishes, and drive retail prices to the max, there’s always a good market out there for solid modest homes at lower prices in good areas. 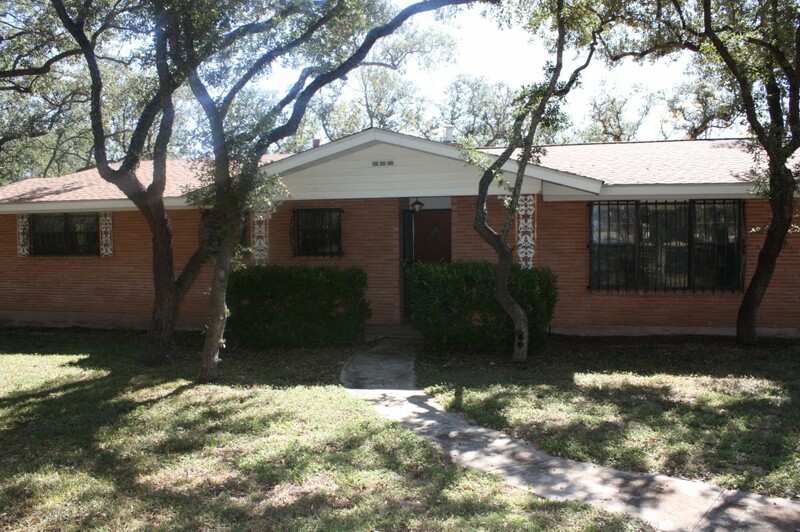 I bought this house in a great high owner occupied neighborhood here in San Antonio last week for $115,000. It’s a fairly clean original condition 3/2/2 1600 s.f. ARV is $229,000 all day long, so I paid 50% of the value of this home if it was fixed up. My options would have been to rehab it with a new kitchen, both baths, flooring and paint and spend about $40k in repairs in order to sell it for $229k or in this case I am opting to Wholetail the property in MLS for $159k. At this price its a scream of a deal and my phone is already ringing off the hook. Why did wholetailing make sense on this deal? If I were to have rehabbed it I’d have a cash basis of 115+40=$155k. Selling it to a retail buyer for around $225k, paying some fees and closing costs would have maybe netted me about $65k. Wholesaling the deal would have only brought me about $5k. With my Wholetailing method if the house sells for $159k as it easily should, the profit would be around $45k less 2% realtor fees for only spending a few hours on the phone and taking 2 trips over there. With this deal we advertise it As-Is so we dont have to contribute to repairs or closing costs. Additionally, I have way less risk at this sales price compared to a full retail sale competing with all the other homes in the neighborhood. A great exit strategy also exists as I could dump it in a day with one phone call for $125k. If you also figure I don’t have to put $40k in for the rehab, my ROI is also actually higher, holding time shorter and less personal time involved in the deal. Consider wholetailing the next deal you get if it makes sense! I’ve been following your site for months now and have also done some purchase/rehab/retails in my area, but nothing to your level of finish. Awesome work! This last post has me wondering though as I would have a dilemma with making money via “wholetailing”. I know I cannot buy a home for x dollars, do nothing to it, and hope to sell it for x dollars + a profit. I could not have a house appraise for $159k if I bought it for $115k and haven’t added any value. Every appraiser and lender now uses very strict comps for their valuations and even if the surrounding homes are worth much more, they have to consider my purchase price as the nearest comp. Help with this one and I would thank you for days. @Ohio. Wholetailing happens every day. The only stipulations are that you cannot sell it to an FHA buyer due to their title seasoning requirements of 90 days. An appraisal is based on what the house is worth, doesnt matter if I paid $115k for it or 1 dollar. My new buyer will have no problem getting financing as the comps are all around $225k. Not that it matters, but also this was a private party transaction when I bought it so nobody (except you) knows what I paid anyway. Texas is a non-disclosure state so the deed just shows “$10.00 and other consideration” if you were to look it up. Okay, the non-disclosure of sale prices would make all the difference. Within 45 days of every real estate transaction, in Ohio at least, the sale price, exactly as stated on the HUD, is listed for all to see in the public record of the county auditors website. If I purchased a private party property and could sell it within the 45 days I could squeeze by… but chances are against me in this market. Tom, I am glad you wrote about this because I have come across similar deals and wondered of doing just a clean up and re-listing instead of a full rehab. My main question is how did you find this deal? If you say you can put it on the MLS at $125 an sell it quick, how come you were able to get it at $115 without there being multiple offers? Was it on the MLS when you bought it? This was a non-mls deal. There are many different ways of finding distressed sellers but basically it was obtained from direct mailings. It’s always nice to buy from a private party as nobody knows what you paid when it comes to sell also. (at least here in Texas, as it’s a non-disclosure state). In California for instance, all real estate transactions are public info and sales price is disclosed by law. Yet another reason Texas is so investor friendly when it comes to real estate. Thanks for taking the time to comment! Tom, awesome article! I’m getting ready to utilize the same strategy you laid out; instead of actually buying and holding until I’ve found my end buyer, I plan to put it under contract and have an agent list it for me as I’m now the seller since I have an equitable interest now. Once my end buyer is located I plan to do a double close, pay the agent their fees, etc. Is there anyway around the FHA title seasoning rule? Or am I just going to have to avoid FHA buyers altogether? whereby you purchase at wholesale and instead of doing the full blown rehab you can just do a cleanup of no more than 10k to make the house “rent ready” and blow it out way below market value. Lots of times you can make the same amount of money without putting 40 or 50 into it and doing the whole retail game where everything has to be perfect to get full market value. Even if you have to season the property, you can do all your clean up and marketing and find your buyer who needs to get funded as well and on day 90 you can close so I wouldn’t say you have to stay away from FHA necessarily either. All about the numbers. It has to make sense. More times than not, people buy on price. Price dictates. A lot of retail folks are afraid of a major renovation so do a cleanup to make it liveable. Certain areas and people will always buy something they could “get away with” and save let’s say 50-75k. with the notion of fixing it up later as time and money permits. Thanks for explaining this new term. We have been doing flips full-time for almost four years now and did this strategy about 3 years ago when we had 3 houses going at the same time and we just did not have the time to renovate one of them. We bought this house for $280k, did a cleanup (house was still ‘rough’ and needed a full Reno) and we sold it again for $337. We bought it privately and sold on MLS. This strategy used to be called “clean it up and resell it”, now I see it’s called Wholetaling! Thanks!